Pete the Cat Button Counting Sticks for Preschoolers! Pete the Cat and His Four Groovy Buttons by Eric Litwin and James Dean is a delightful picture book for preschoolers with the coolest cat in town. The story teaches kids not to worry about the little things while introducing Pete’s favorite jacket with buttons. The story can be read in sing-song (rap) fashion while preschoolers take in the simple illustrations to make learning fun. Try the simple Wikki Stix Pete the Cat Button Counting Sticks with your own preschoolers to enhance the story and learn more about basic numbers. Free Pete the Cat Numbered Toppers (print here). Prior to the activity: print the numbered toppers, laminate for durability, and cut out the individual toppers. Make an invitation to count and play by assembling Wikki Stix, scissors, and the numbered toppers on a table or a large tray. Preschoolers are naturally curious and will gravitate toward the activity and supplies. 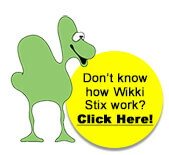 Demonstrate for the kids how to create a simple Wikki Stix “button” from a spiral. Begin on one end of the Wikki Stix and wrap the strand into a spiral (pinwheel). Learning how to wrap Wikki Stix spirals for the buttons will help develop fine motor skills while the kids create. For younger children, begin with smaller numbers: set out the Pete the Cat counting stick toppers for the numbers 1-5. Invite the kids to twist two or three Wikki Stix together and lay flat on a table of a tray. Kids can then choose any numbered card (1-5) and create the corresponding number OR Wikki Stix button spirals to place on the counting stick (no glue is necessary to hold the numbered toppers as Wikki Stix is tacky and will hold them in place). As kids gain confidence in working with one-to-one correspondence (the knowledge that numbers relate to specific quantity of items), introduce larger numbers. There are blank topper cards in the printable file for working with larger numbers as preschoolers progress in counting abilities. Take photos of your preschooler’s counting sticks to show family and friends. Preschoolers are very proud of their play. 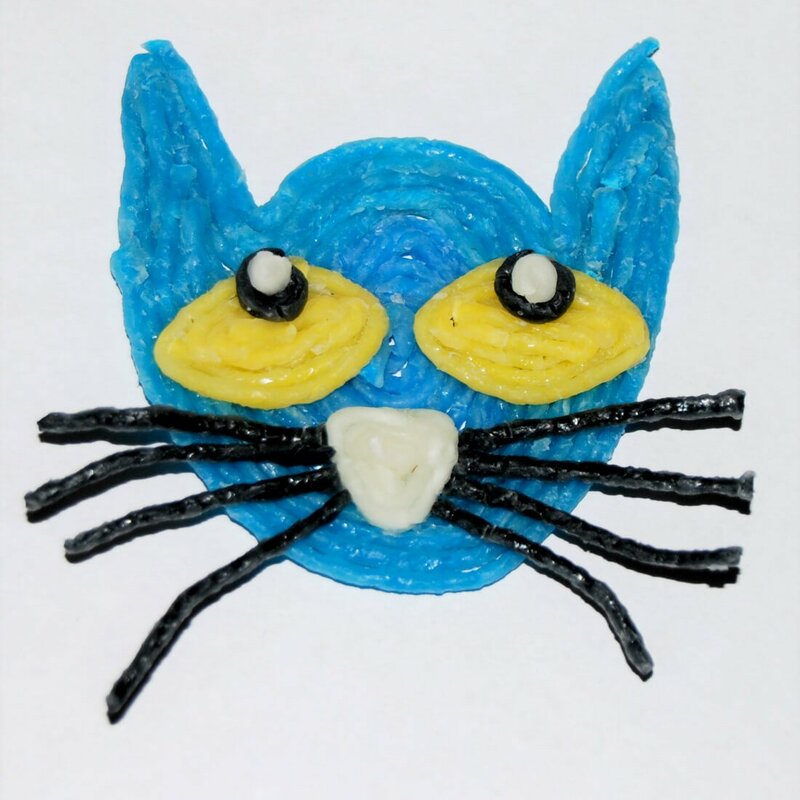 Invite the kids to design their own Pete the Cat with Wikki Stix. Kids can add details such as eyes and whiskers to their own creations. Introduce subitizing (the ability to intuitively know how many are in a small group of items by sight alone) to your preschoolers: set out a small number of the Wikki Stix created buttons and see if your kids can mentally count the number in the group. When kids have good mental subitizing skills, real relationships with numbers progress.